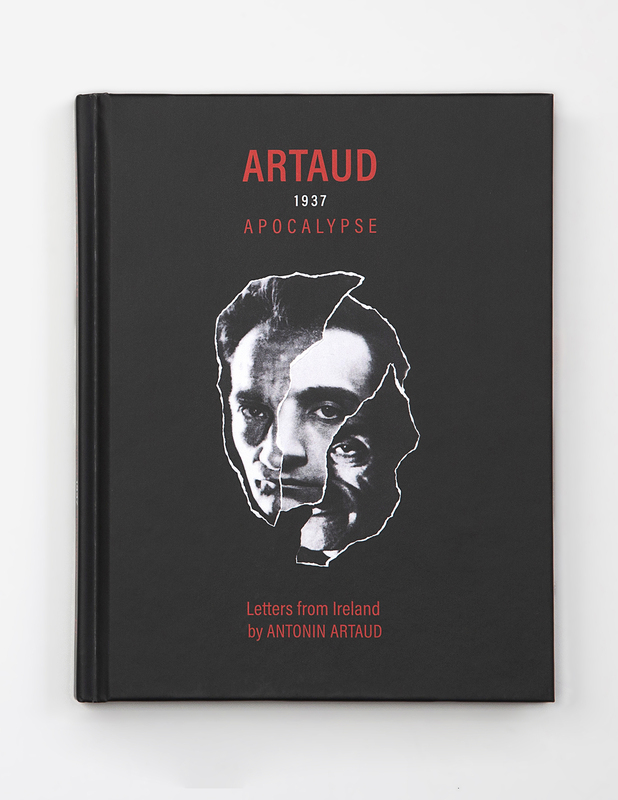 Artaud 1937 Apocalypse publishes the letters Antonin Artaud sent to several of his correspondents during the period in 1937 when Artaud was visiting Ireland. 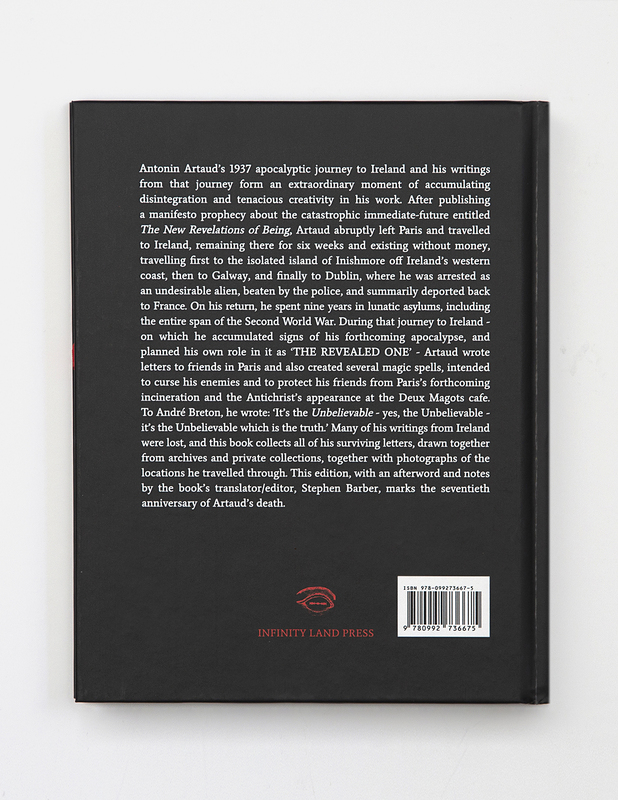 Artaud left Paris for the island of Inishmore off the western coast of Ireland, then proceeded on to Galway and Dublin. During this time, Artaud sent a number of intriguing letters to a select few of his friends and correspondents. In these letters Artaud gives their recipients a general outline of his new purpose in life, and his reason for traveling to Ireland. The disturbing content of these letters is the body of and inspiration for this book, which is now able to be utilized by a much greater audience, as it has recently entered the public domain. 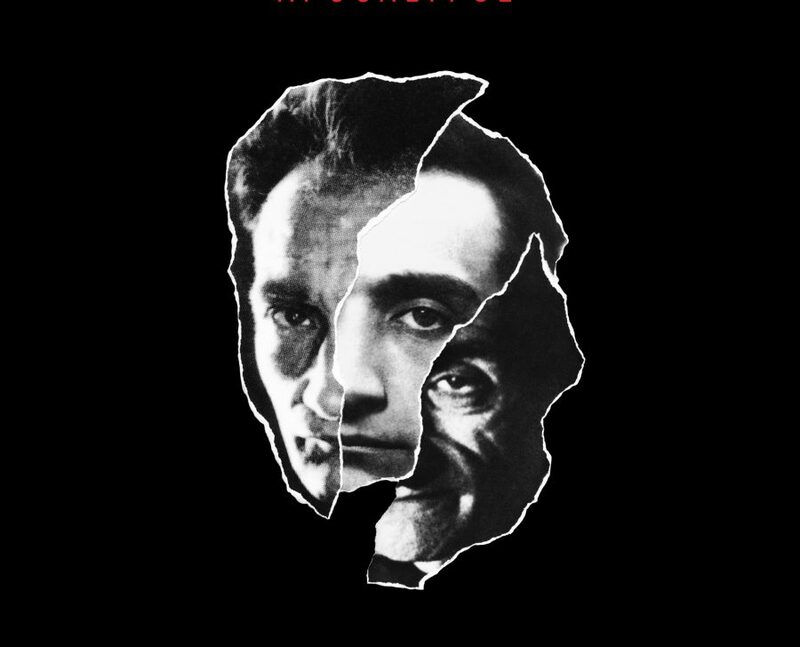 Until the release of this book my knowledge of Antonin Artaud and his work was lacking. I opted to begin reading the book before digging too deeply into the biography of the man. As I read, I realized this book and this man are both incredibly complex and interesting topics. So I decided to take a deep dive into his life and his works. What I found was a man of singular peculiarity. A man that could be equally as charming as he was denigrating. Yet, even with his strong anti-social tendencies and his phases of increased mania, Artaud managed to keep a devoted group of close friends and followers throughout his life, and to leave a lasting legacy after his death. These opposing forces are likely to be at least partially responsible for Artaud’s variety of art in its many forms. As I learned more about the man, and then began to read the book again, a greater appreciation for it certainly arose. Yet, Artaud 1937 Apocalypse doesn’t really deal with any of the topics of art. It instead focuses solely on Artaud’s vision of a coming apocalypse, in which he sees himself as the primary antagonizer of the lost masses and their false conceptions of the holy realms. His vision is an amalgamation of Christian and Hindu concepts of a triad of divine power. Both of which are one and the same, and both of which are misunderstood, as he sees it, by the followers of said faiths. In his letters Artaud not only illustrates his own role in this coming apocalypse, but he explains to his friends how they are also connected to the upcoming events, and how the elements of the heavens themselves will war amongst each other. The letters can vary from a quick warning of some upcoming event to a detailed explanation of how and why various of his correspondents should abandon their current preoccupations and join him in this effort which he sees as the difference between a new beginning and the end of everything. Some letters include spells, protective or destructive, depending upon the recipient. Many of the letters included pleas for money, something Artaud was desperately lacking from this period forward. Interestingly enough, the events of this book, of course, took place not long before the second World War. The apocalypse may not have unfolded as Artaud had imagined it would, but some version of an apocalypse certainly left its mark on humanity during those years. Ironically, I suppose, Artaud actually had no influence on WWII whatsoever, as he spent the entirety of the war in a series of psychiatric hospitals. During this period, he was repeatedly subjected to electro-convulsive therapy numbering in the dozens of “treatments”, which they likely used on him, at least occasionally, as punishment for unwanted behavior. Needless to say, this trip to Ireland, and then his immediate institutionalization upon return to France is likely the most chaotic and troubling part of his life. Infinity Land Press took no shortcuts on this one. While the book is only 120 pages in length, there is plenty of interesting information here to absorb, over multiple readings. The book is hard-bound with a bound silk bookmark. 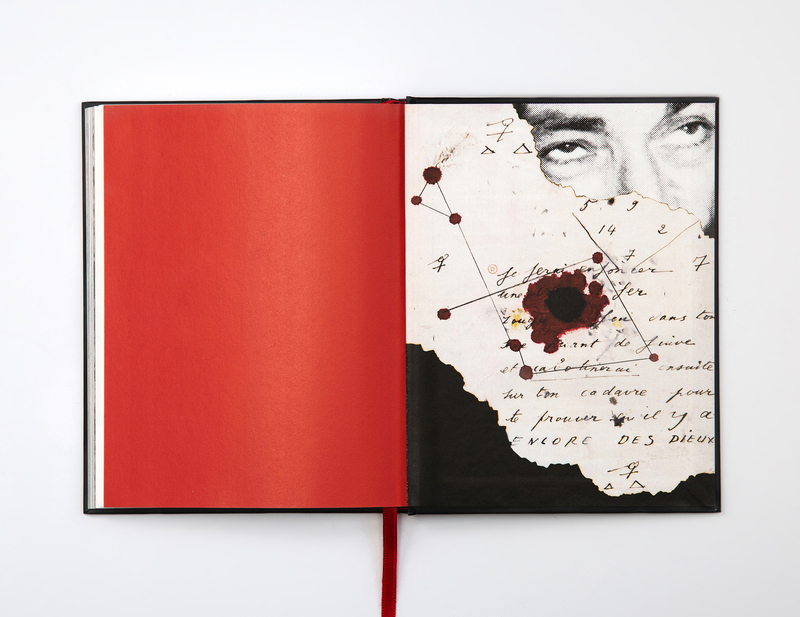 The cover-art, created by Martin Bladh (IRM, Skin Area, Infinity Land Press), is a collage consisting of three images of Artaud’s face, each from a different period. There are also collages by Martin Bladh on each of the inner endpapers. 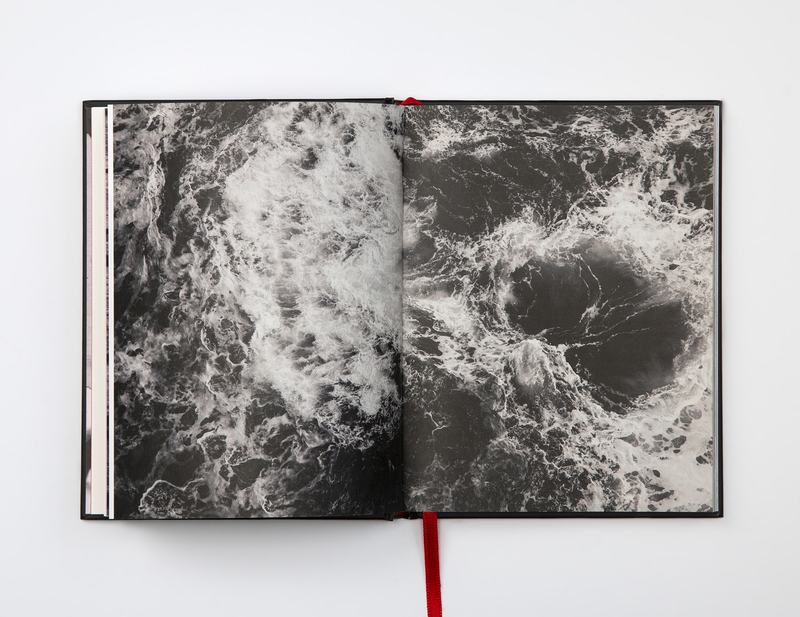 Karolina Urbaniak provides the utterly magnificent photographs dispersed throughout the book. She took all these photos herself, on a trip to Ireland, in preparation for the book, where she followed the path of Artaud’s historical travels. The power of these photos in the narrative can’t be understated. Urbaniak captures scenes that seem almost otherworldly in their uniqueness. Jagged rocks protruding from the ground as far as the eye can see, violent waves colliding forcing a torrent of water into the sky, and the foundations of long forgotten structures make up the subject matter of these photographs and paint a vivid picture of the world Artaud was witnessing around himself during this period. 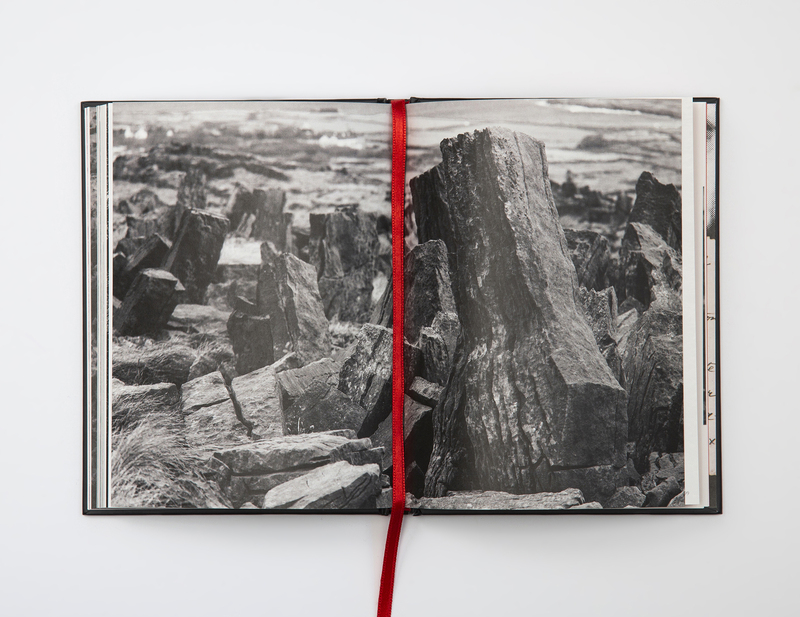 The final element to this book is the work of Stephen Barber. Barber has been an authority on the works and correspondences of Antonin Artaud for years. His contribution here takes Artaud 1937 Apocalypse from an aesthetically pleasing collection of letters to a well rounded English translation and commentary. Artaud wrote all these letters in French, so one of the major undertakings of this book was to create an English translation which would still capture the electrifying wording used by Artaud. Though I don’t speak French, and therefore can’t have a true judgment here, from my history in Ancient Greek and Latin translation, Barber seems to have done an excellent job of creating wording which will feel natural to English speakers, yet also captures that brilliance/insanity of Artaud’s wording. Barber’s contributions are rounded-out with an Afterword, which was very helpful for me, in understanding the greater context of this work. He has also provided notes throughout the book, making it a potent resource for English reading scholars on the topic of Antonin Artaud. We won’t all get the full appreciation immediately from this work. As I mentioned before, Antonin Artaud is a complex man, one that worked in a variety of different creative fields, and left his mark on more than one of them. But this is a wonderful place to get into his works for the first time. Having this version of Artaud in mind as I dug much deeper into his legacy, it made for a more interesting journey, similar to the “in media res” (into the middle of things) situation, I would equate my experience with a movie starting in the action of some later scene, then taking you back to the beginnings to explain the lead-up to this event. With that said, I would highly recommend Artaud 1937 Apocalypse to die-hard lovers of Artaud. But, it will also be an enlightening work for those new to Artaud, and possibly the catalyst for a greater journey into the works of Artaud and/or his friends, such as André Breton, in the surrealist movement. The physical book is a delight to witness and the content within is no less appealing.